The new entry in the bestselling open-world action game series developed by Ubisoft. Assassin’s Creed Odyssey takes the players on a journey to ancient Greece. The players assume the role of one of the titular Assassins. 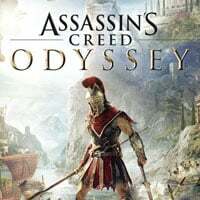 Assassin's Creed Odyssey is the ninth large installment of the best-selling series launched in 2007. Unlike the previous parts of the series, which were action games, this production represents the RPG action genre. The title was created by Ubisoft's in-house studio in Montreal. Assassin's Creed Odyssey begins in 431 BC with the outbreak of the conflict between Sparta and Athens, known as the Peloponnese War. Before starting the game we choose one of the two characters – Alexios or Kassandra, grandchildren of the famous king of Sparta, Leonidas. However, they were cursed by the family and banished; we meet them when they earn a living as mercenaries as adults. The beginning of the title Odyssey, on the other hand, is the moment when the heroine or heroine takes on orders that will radically change his life, opening the way for him to become a Spartan heroine. Unlike earlier Assassin's Creed games, Odyssey's plot is to some extent non-linear. In the course of the struggle, we make decisions that influence the course and end of the script – although we cannot influence the fate of the world, the choices we make are translated into the life of the protagonist (the creators allow us, for example, to romance with selected people) and the characters around him. The story is conveyed both in film interviews and in conversations in which the developers, for the first time in the history of the series, gave players the opportunity to choose dialogue issues. Separate mention should be made of the fact that in Assassin's Creed Odyssey historical and mythical characters appear, headed by Socrates, documenting our actions by Herodotus, Hippocrates known as the father of modern medicine, or even Pericles, who fought to defend Athens' independence. In Assassin's Creed Odyssey we observe the action from a third party perspective (TPP). The game gives us a vast open world, which consists of several regions, varying in terms of landscape, season and population density. In addition to Attica, which is central to Athens and Lakonia, where Sparta is located, there are also militarized Achaia and Messinia, forest islands with a beautiful golden autumn, or even the glamorous city of Corinth. We can travel along this "sandbox" both on foot (which makes the parkour system, which is a showpiece of the series, allowing the heroes to overcome obstacles in a spectacular and instant way), and on the back of a mountain named Phobos. In addition, the game returns free sailing, a hallmark of Assassin's Creed IV: Black Flag released in 2013. Our ship, Adrestia, can be modified by changing its appearance and equipment. Of course, we do not swim alone on the sea - during the game we can recruit the crew (also from among stunned enemies), and each of its members has unique abilities, which influence our combat potential during battles with enemy units. It is worth noting that sailing is once again made more attractive by the shanties sung in Greek by our subordinates. On land, our enemies are eliminated both from hiding and in open combat. If we decide on a quiet solution, we can take advantage of the blessings carried by the spearhead of Leonidas' spearhead – a legendary artifact, which replaced a hidden blade known from earlier versions of the cycle. These weapons also provide Alexios and Kassandra with supernatural abilities like increased strength or the ability to instantly knock out an opponent's shield; they are useful in close combat duels, where we use various types of white weapons. There are also large-scale battles with up to 300 units in the game, and when we break the law, our Mercenaries follow us and we can bribe, kill or simply run away from them. In return for eliminating enemies, performing fictional or side tasks and undertaking various optional activities, we receive experience points, and after collecting the appropriate number of them – we advance to the next levels. As we progress, we unlock skills divided into three categories (hunters, warriors and killers). We can also increase the hero's combat abilities by gaining more and more equipment. Assassin's Creed Odyssey uses the same technology that propelled the previous part of the series. Three-dimensional graphics are of high quality; we are talking about realistically animated water and full of details, as well as detailed character models. The game is also accompanied by an atmospheric soundtrack.